Maya Wilson and her family had a big change of scenery when they relocated from California (the most populous state in the US) to Alaska (the largest state, but one of the least populated). They made their move during the winter, so the first few months were full of challenges, from adjusting to the lack of daylight and below freezing temps, learning to drive, and bundling their kids in snow gear for school. They also discovered food options in Alaska were much more limited than in sunny California. The scarcity of grocery stories, restaurants, and coffee shops inspired Maya to spend more time in her kitchen cooking and baking for her family. 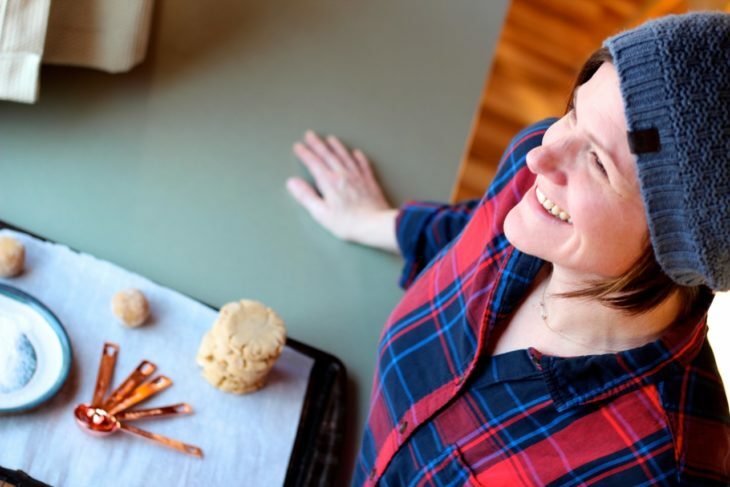 She launched her blog, Alaska From Scratch, as a way to share the unique regional cuisine that she discovered day by day. From fresh halibut to wild salmon and from moose to bear, Alaska has food – and a lifestyle that goes along with it – that’s all its own. Some recipes (such as the Smoked Salmon Pot Pie) reflect traditional Alaskan flavors, while others (such as the Blackened Salmon Lettuce Wraps with Mango Salsa) demonstrate Maya’s spin on local ingredients. She even includes unexpected favorites like Kenai Cheese Dip, a regional specialty from Echo Lake Meats that gets a kick from jalapeños. Maya’s recipes will have you craving Alaskan ingredients like salmon, halibut, cod, reindeer sausage, birch syrup, foraged mushrooms and berries. You may even be tempted to plan your next trip to The Last Frontier.